Cleaning and maintenance is a key factor in carpet ownership and selection. 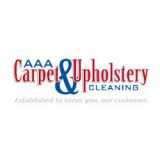 Proper cleaning is the first step to preserving the life of carpet. Vacuuming is the single most effective means of keeping carpet clean; 90 to 95 percent of all dry soil by weight can be removed from carpet by following a routine schedule. CRI created the Seal of Approval testing and certification program to help customers identify carpet cleaning products that clean effectively without harming the carpet. For a list of these products, click on Seal of Approval at carpetrug.org. Independent testing shows that many cleaning detergents and spot removers clean no better than water. Worse, they can leave a sticky residue that attracts soil at a faster rate. There also are big differences in the soil removal capability of vacuums and extractors. Choose vacuums that bear the CRI Green Label to remove soil most effectively, while maintaining good air quality.